It's been six days but she's still saying goodbye. 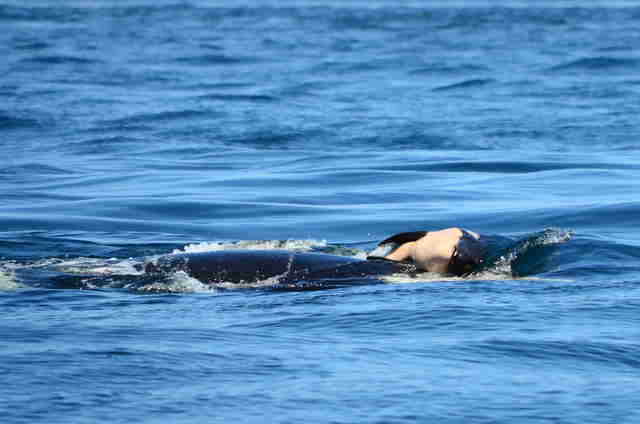 A wild orca swam for just a few precious minutes with her newborn baby before the weak little calf died on Tuesday, just a half an hour after being born. 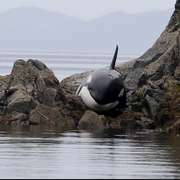 Even days after her pod moved on, wild orca J35 — also known as Tahlequah — was seen trying to keep the calf's body from sinking to the bottom of the Salish Sea, off the coast of Washington. As soon as people from the Center for Whale Research (CWR) — an organization that documents and tracks the orcas in this area — heard reports that J35 had given birth they rushed to the waters just off Clover Point to document the birth. By the time they arrived the calf had already died, and Tahlequah was beginning to mourn. A few photographs show her grief. "J35's incredible persistence in diving deep to retrieve the small body, even in the face of her weakening condition, speaks to her great emotional distress," Barbara J. King, professor of anthropology at the College of William and Mary and author of "How Animals Grieve," told The Dodo. By Saturday, J35 was still carrying her baby, for the fifth straight day, even after her pod had moved on. The tragic loss of this baby is just part of a larger story of devastation impacting these animals. 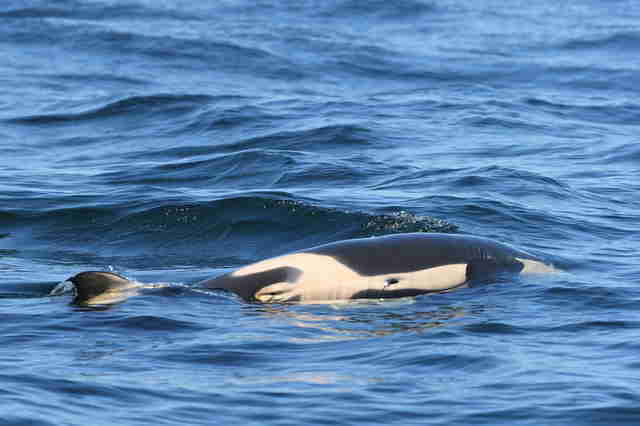 "Regrettably, approximately 75 percent of newborns in the recent two decades following designation of the southern resident killer whale population as 'endangered' have not survived," CWR wrote. "And 100 percent of the pregnancies in the past three years have failed to produce viable offspring." Soon J35 will have to let go of her baby and move on. If more isn't done to protect these orcas, we will have to let go of them, too. 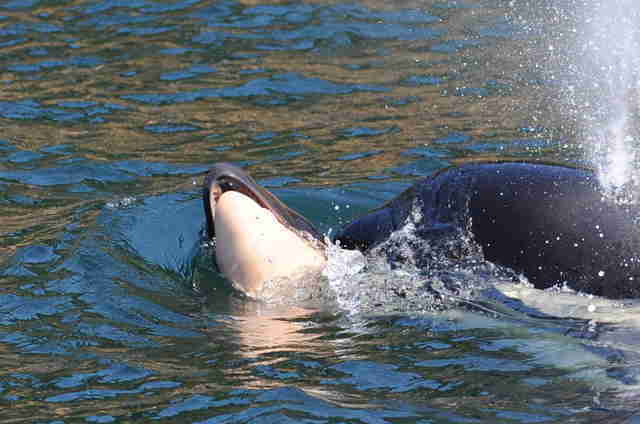 As of June 2018, the SRKW population included just 75 individuals: 23 orcas in J Pod, 18 in K Pod and 34 in L Pod. "J35's ecosystem is at dire risk because of our activities," King said. "It is we who have dammed the rivers, polluted and overfished the waters, and it is up to us to act to help." You can help protect these orcas by making a donation to CWR.